Winter is one of the most contemplative seasons of the year, and when it gets cold outside and the days get shorter and shorter, it just makes sense to want to stay inside and reflect on things. At 1800 Roof Plus, we think that’s a great way to spend some of your spare time during this season. 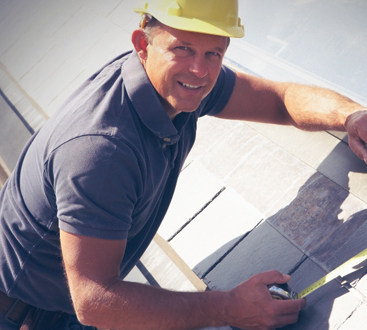 As the go-to roofing contractor in Point Pleasant and the surrounding area, we also believe that this is a great time of the year to think about the home improvement projects you can tackle in the months ahead. 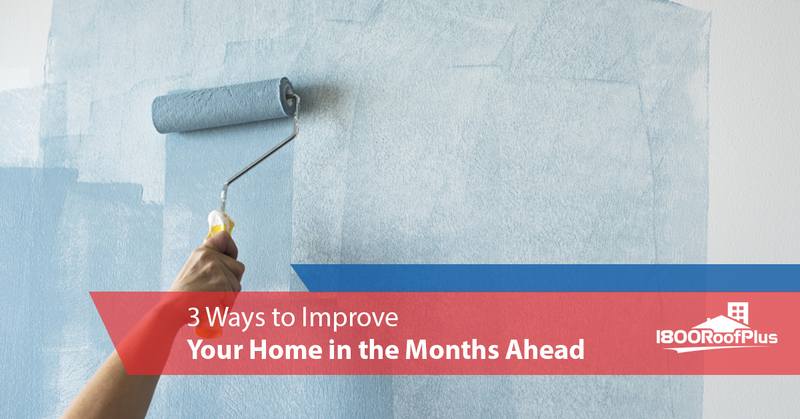 That’s why in today’s post, we’ll be sharing three ways we think any home could be improved. As the weather starts to take a turn for the better, tackling some of these projects will get easier, but the list below was specifically created to provide you with some ideas of things you can do even when you don’t particularly want to be outside. If making your home a better place to live is up your alley, keep reading to learn more! One of the best things you can do during the winter is give the inside of your home a little makeover. The easiest way to do that? Paint the walls! Whether you want to redo every room in your home or just paint an accent wall here and there, putting a new color up on the walls is the fastest way to completely transform the look and feel of your home. Perhaps it’s something you’ve been considering for awhile. Maybe you just saw a home renovation show and fell in love with the color that ended up in the bedroom. Whatever the case may be, you deserve to have a home that makes you feel comfortable when you spend time in it, and color is one of the best ways to foster comfort. You can choose whatever brand of paint you want, but our advice is to take advantage of the color visualizer tool from HGTV Home. It allows you to upload a photo of the room you want to paint and then make color customizations to your heart’s content. Once you have an idea or two, pick up some paint and get to work this weekend. Do you love the way the art looks on the walls of your home? If so, it might be time to mix things up a bit; if not, there’s no time like the present to start making some changes. If you’ve been putting off buying a frame for a painting that’s been in your family for ages, this is the perfect time to get it done. If you’re a photographer who wants to have some prints made of your work and display them around your home, let the winter weather inspire you to try something new. Whatever the case may be, winter is a great time to look for inspiration whether it’s on the internet, in a show on HGTV, or in a home decor magazine. Before you know it, spring and summer will be here and you’ll want to spend your time outside. Might as well make the most of the winter and make some changes indoors, right? After all, the art you put on the wall now is something you’ll enjoy all year round. When you take a peek outside, you might feel rather uninspired. That’s okay! This is the perfect time of year to daydream about the outside of your home and start brainstorming the things you’d like to do outside. Whether it’s building window boxes to display some flowers, redoing the landscaping in your backyard, building yourself a back patio for your barbecue grill, or installing a fence so you can have some privacy from your neighbors, now is the time to start making your plans and budgeting for what needs to be done. Of course, that also gives you the opportunity to think about any repairs that may need to be made. Thankfully, at 1800 Roof Plus, we specialize in roofing services and house siding installation in the Jersey Shore area. In other words, if you find that you need to protect the thing that protects you and your family, turn to us, and rest assured that you’re in good hands. 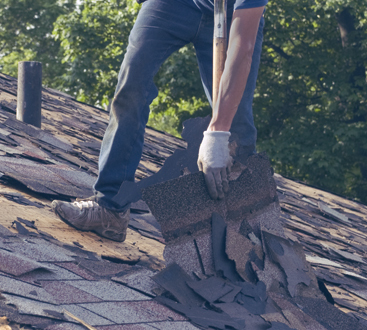 Whether you’ve noticed that your roof is showing signs of age or you purchased a home that was built decades ago and you just want to make sure that everything is in order, the team at 1800 Roof Plus will take great care of you at every step of the way. We’re proud to offer a free roof analysis where we’ll look things over and provide you with our recommendations. There are no gimmicky sales tactics or pushy salespeople to deal with. Instead, we’ll give you the facts and let you make the decision. Whether the solution to your siding or roofing problem is repair or replacement, you can count on us to get the job done the right way every single time. We pride ourselves on working quickly and efficiently while also making sure the end result will last you for years to come. We also offer gutter repair services as well as window installation services, so no matter what you need, you’re covered! Contact us today to get started.